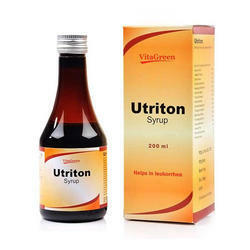 We are a leading Manufacturer of utriton syrup, vitacid syrup, branoton syrup, easyee go syrup, kauffcure syrup and livmax syrup from Vapi, India. With the constant support of our dexterous professionals, we have been able to offer our clients with Ayurvedic Urine Disorder Syrup.The offered syrup is processed with the help of advanced processing techniques to leave no scope for impurities. Apart from this, the offered syrup is known for its features like longer shelf life and accurate composition. 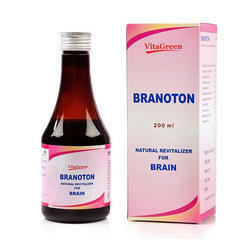 Branoton Syrup is Proven for ages for enhance learning , academic performance. It also Improves mental ability, Promotes clarity of thoughts , calmness, memory and concentration. It Maintains oxygen and glucose metabolism in the brain. This combination medication is used to relieve coughs caused by the common cold, bronchitis, and other breathing illnesses. 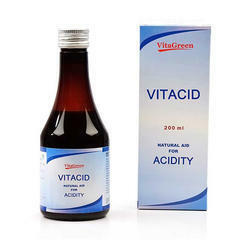 It helps in Detoxify , cleanse & maintain liver health and also Normalize physical appearance of the skin. 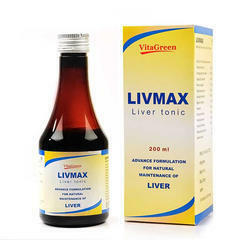 Its Hepatoproactive and restores liver functions. 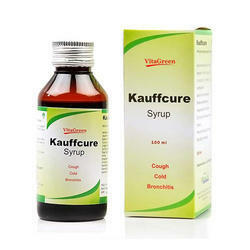 It rejuvenates the liver function and protect the liver condition and also helps in Aids recovery from viral hepatitis. 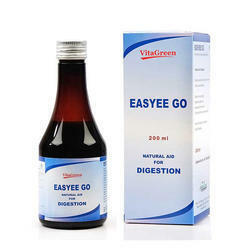 It Helps regularize bowel moment and eliminates constipation. Maintain Healthy skin & checks pimples and hair fall.